The story so far... The lives of Vic Stone and the S.T.A.R. 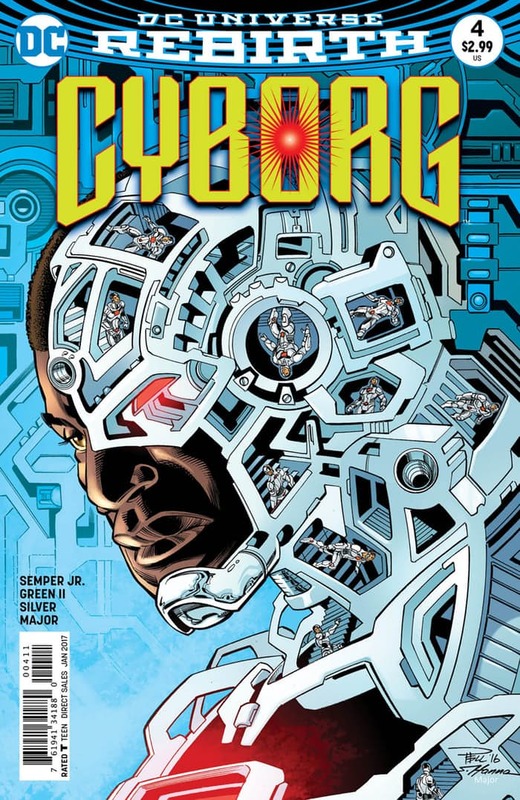 Labs crew are thrown into chaos following an assault by someone or something else that thinks it's Cyborg's true father! Story - 4: So far this book has been a pretty decent read. It is not at the level of what Redhood & The Outlaws is for me, but still one I enjoy reading. The reason I'm covering this is because Superman makes an appearance in a dream sequence at the beginning of issue #3 along with the rest of the New 52 Justice League. This is also at the end of the issue, again in another dream sequence in Cyborgs mind, which leads into issue #4, where he has to take on the entire Justice League, be it in his subconscious. The one aspect I really loved was that John Semper Jr treated Superman with the proper respect, and not just as a plot device. 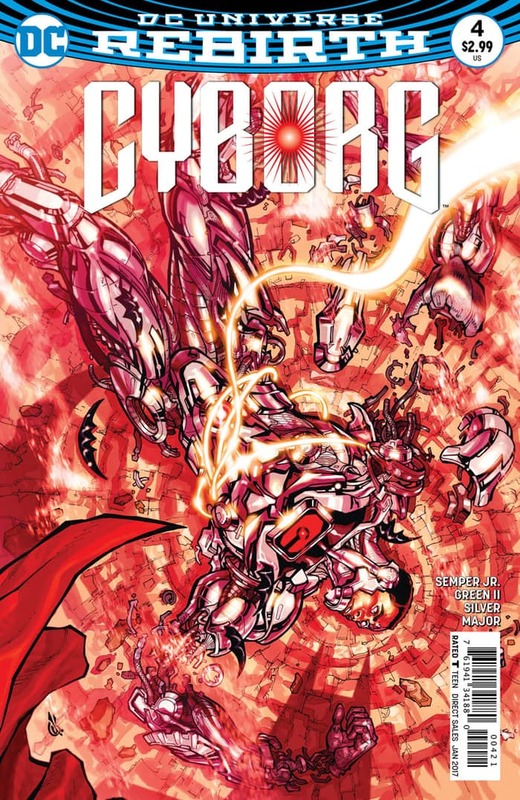 He wrote it as, Cyborg knew and reminded Superman that he is not a killer, and which lead him to realize that if Superman is indeed trying to fatally wound him, that it cant be real! Good series so far. Art - 4: The will Conrad issue, in which he takes on both pencils and inks is absolutely gorgeous to look at! Conrad is a great up and coming talent at DC, and hope he gets a high profile regular gig soon. Even though he renders a New 52 suited Superman, he completely captures the look Jim Lee gave it in his renditions! Issue #4 is penciled by Timothy Green II. Though more cartoonish and not as slick and sharp as Conrad's art from the previous issue, his storytelling technique shines through. Cover Art - 5: Some pretty awesome covers from series regular Paul Pelletier, but the most relevant for us is the Carlos Dánda cover for #3.